Bus Driver Simulator 2019 — full journey through the city and its suburbs, strictly following the schedule. Earn money by successfully delivering passengers and following traffic laws. Perform various scenarios with preset conditions or create your own career in Free. We photographed most of the city and its suburbs in order to recreate buildings and streets as close as possible to real city objects. Virtual city is recreated very accurately, in every detail. Buildings, bus stops and other objects are located exactly in their places. Choose routes in your image to ride in urban areas that interest you. It doesn’t matter if you like high-speed passenger transport or slow and relaxed driving. If you do not like the preset schedule, you can customize it for your style of play. Earn money, buy new buses and upgrade them. Decorate your bus as you wish. You will love the different decorations for each bus. You have a unique opportunity to ride buses of different eras and countries. 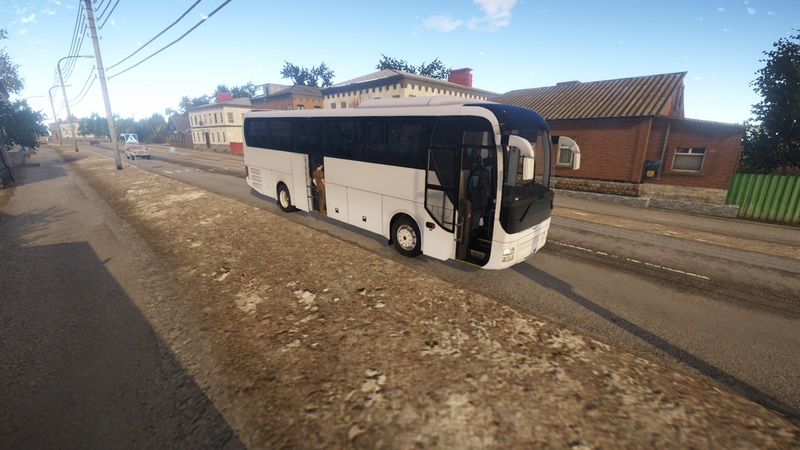 You can drive old Soviet city buses and European long-range giants. Do not forget to periodically replenish your bus, so you do not need to call the tow truck. Be prepared to spend a lot of time in one of four garages where you can upgrade your buses and relax. We implemented realistic traffic in our game. In addition, passenger traffic is modeled depending on daytime. Deliver people to work in the morning when there are traffic jams, in the afternoon, when there are fewer passengers and cars, and in the evening, when there are almost no people on the streets, and lamps are lit on the roads. Driving realistic as ever! Connect the VR kit, steering wheel and pedals for the best gaming experience. Possibility of upgrading your buses, add and replace decoration elements. Different weather conditions, dynamic day time change. Various traffic situations: traffic jams, accidents, speed bumps, driving at night, long-distance travels. Wide functionality on driving a bus. Necessity to visit gas stations and garages. Steering wheel, gamepad and VR support. This game has been updated 19-01-2019, 17:02 to the latest version v2.8. - Added preset for Logitech G29. - Fixed the bug with passengers’ animation. - Added new animations and replaced some old ones. Now passengers’ movements are more varied. - Fixed the bugs affecting second and third scenarios. - Fixed problems with menu while using VR. - Fixed the bug resulting in game not pausing when opening control selection menu. -Fixed bug which prevented player from switching steering wheel angle. -Fixed bug with manual gearbox. -Increased performance of orbital camera (FPS was considerably worse before, now it’s the same as in first person mode). 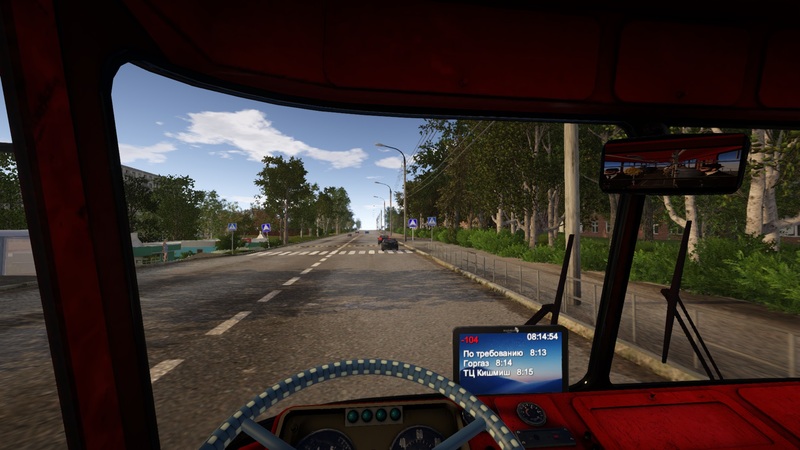 -Added preset for Artplays C900 steering wheel. -Improved behavior of mini-map, however it is still in test mode. Dice di aggiornare il gioco tramite Steam perchè questa versione è obsoleta: ma non era aggiornato all'ultima versione?